Recently at The Unusual Pet Vets we have seen several young ferrets that have had difficulty walking. Whilst there are many causes of lameness in ferrets, today we will be focusing on one particularly common condition seen in juvenile ferrets. This condition is colloquially known as ‘rickets’, but is more accurately Osteodystrophia fibrosa, or nutritional hyperparathyroidism. Rickets is a term used to describe abnormal development and calcification (strengthening) of the bones, secondary to either 1) low calcium 2) low vitamin D or 3) high phosphorous intake. Ferrets with rickets can show a range of clinical signs. In moderate to severe cases, affected ferrets are unable to walk or show significant lameness (sore legs). They can also develop fractures during everyday activities due to their weak, rubber-like bones. Juvenile ferrets are particularly susceptible to this condition, often due to the feeding all muscle meat diets which can be deficient in calcium and high in phosphorous. Ferrets are obligate carnivoresmeaning they do have a strict requirement for animal-based proteins, however, diets of only beef or chicken mince (or other muscle based foods) generally provide very little calcium for bone growth. This means juvenile ferrets can develop bones which become very soft, meaning in severe cases their legs have as much strength as the areas of cartilage within a human ear or nose. How can I prevent my ferret from developing rickets? A good well-rounded diet is essential for all growing animals. There are several commercial and home-made diets available for ferrets, and it can be difficult determining which diet is the best for your ferret. We have included our top recommendations for diets in ferrets below, but it is important to keep in mind that no diet will work for 100% of ferrets. Just like people, each ferret is unique and may require certain changes to their diet to make sure it is best for them, their health status, and their lifestyle. For more on individualized diet plans for your ferret, please don’t hesitate to contact us for further information. Whole prey:For most ferrets, the best diet is one that consists of whole prey items. This is where ferrets are fed dead mice, chicks or rats. The benefits of this diet are the rich source of calcium from the prey’s bones, the vitamin-rich organs as well as the animal-based protein in the prey’s muscle. The disadvantage of this diet is often the stigma or distastefulness of feeding whole prey for owners, and the tendency of some ferrets to hide their food. Commercial dry food:In recent years there have been dry foods specifically designed for ferrets. These biscuit diets have been formulated to have very low grain-based contents, as ferrets are unable to digest or utilise plant-based products effectively. The disadvantage of these diets is they often need to be combined with other foods, and by themselves can be less mentally stimulating to a ferret. Adding in chicken necks, diet supplements such as Predamax or the occasional premium cat wet foods are ways you can increase the benefit of these diets. What foods are not good for my ferret? I think my ferret has “rickets”. What now? 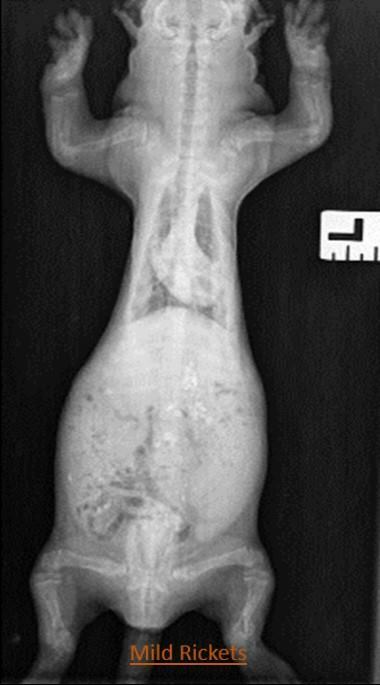 Rickets can be a serious disease of young ferrets, and one that often requires veterinary attention. In most cases rickets has resulted from a diet lacking in calcium, and this means calcium supplementation is one of the keys areas of treatment. Many ferrets will also require x-rays to assess the severity of any bone deformities, and whether the patient requires any intervention to facilitate normal bone growth. In the worse cases, some ferrets develop profound bone deformities that prevent them from walking, and living free of pain. Quality of life will, unfortunately, need to be considered with these individuals. If you are concerned that your ferret is unwell or are intending to purchase a young ferret for the first time, please don’t hesitate to contact The Unusual Pet Vets for more information. 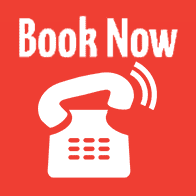 We can be contacted via email at vets@, or alternatively call us at our Balcatta (9345 4644) or Murdoch clinic (9360 2876).